““1319” is the album we would have released if we only could have released one album during the Leather second generation era. The tracks now are little more listener-friendly and more accessible for the first time Metal fan who may have never experienced the music before. For long time Chastain fans I believe they will dig the new arrangements”. “We chose the tracks that I thought I could make the biggest arrangement changes from the originals. When listening to the 5 albums on their own certain tracks I could just hear a new arrangement that I thought would work. Tracks I could make stronger. Of course I could probably do that with any release in the world. The perfect album has yet to be released. Something can always be better”. 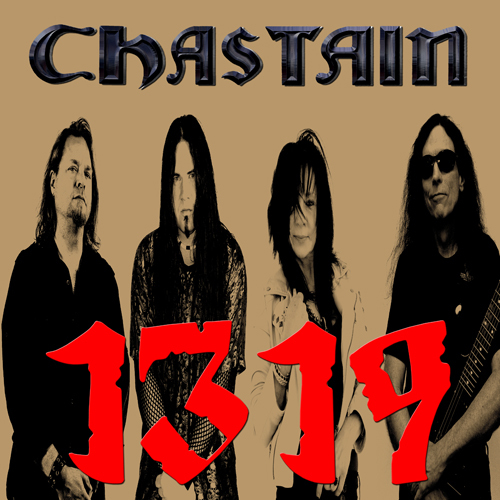 Also included on “1319” is the never before released track “The First Attack”. That track was originally recorded during the “Surrender To No One” sessions but to due to time constraints was not included on the original release. “Having Stian Kristoffersen in the band really helped bring the music to another level with his more modern influences. He is a monster drummer. Leather has never sounded better and bassist Mike Skimmerhorn can always be counted on to hold up the bottom end”.